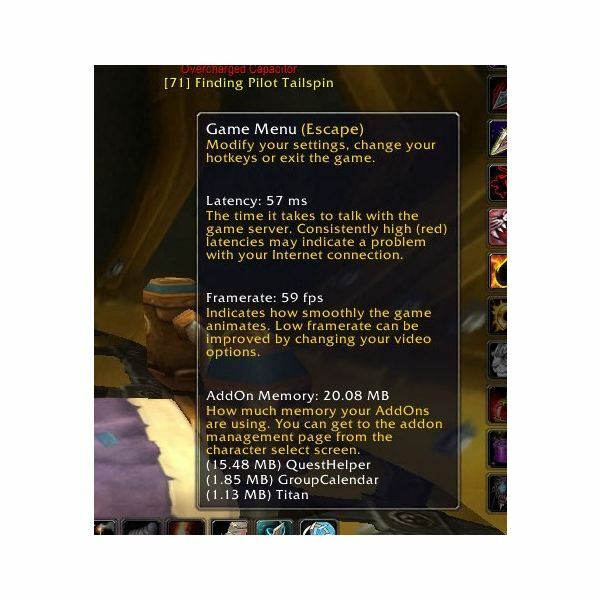 Does your frame rate look like the screenshot pictured? 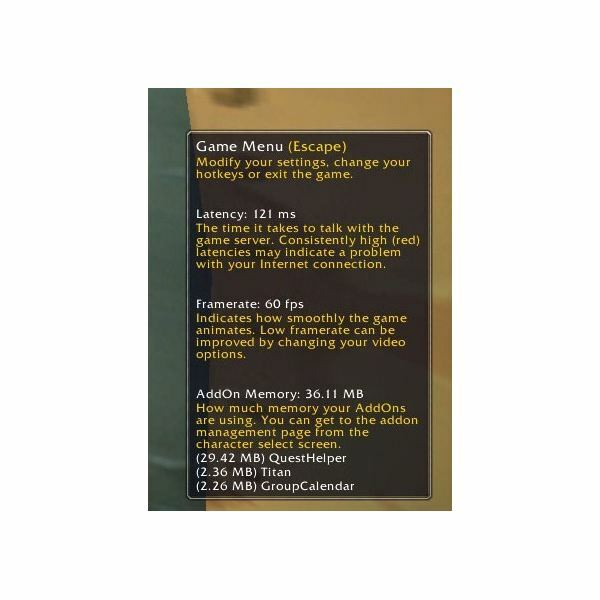 I read a lot in general chat, the large Yahoo WoW group, and other places about low framerates. Before purchasing the current computer I own, which is a HP Pavilion m9080n, my frame rate was a whole 4. It went up to 15 if I was lucky. I was playing on an older HP model, without upgrading the video card. The lag was killing me. Lag equals low frame rate. Some new computers are packaged with an Nvidia Geforce 8800 video card. Sony Playstation 3 also is built with an Nvidia Gforce 8800 video card. If purchasing a new computer, definitely look for the higher speedand higher memory video card. It makes a big difference. You’ll see others lag, but not you. The video graphics produced is next to realism. Some older computer models will not accept the higher rated video card. A new computer might be needed if this is the case. If you like to work on your computer, the price is cheaper for a video card. The difference is $279.00 for the Geforce video card, versus the price of a new desktop computer. Follow instructions on changing the video card with the guide that came with your computer. Another nice computer component to utilize is a portable media drive. Portable media drives come in 120 GB to 250 GB or higher. A user can place programs he uses onto the media drive, and the programs will not be in the way of the MMORPG. Small flash drives serve the same purpose except due to their smaller size, they are better made for file saving. Sometimes server lag is present. In that case, it helps to log on, and log off. The game restarts, and the lag might be absent. If the server is well populated, and you are in a heavy populated area, this is a well known cause for lag. Another way to get rid of lag is to change your internet service. DSL tends to lag. Cable is not immune to lag, but has less occurrence. Changing the internet service is a radical move to make, but it really helps. Clean your files. Get rid of absolutely everything that is no longer used. Run virus scans, spyware scans, and try to defragment the hard drive. I have heard complaints about Window’s Vista causing low framerates; I have not experienced that myself. Playing wirelessly depends on the amount of people on the wireless network. Wireless is never suggested – there is too much lag involved. (Picture of laptop lag). On my Dell Inspiron 1720 laptop I get a framerate from 49 to 59. One more option is having a computer technician take a look at the computer. There may be a program eating away at memory that you are not aware of. If you think you need a new computer, always tell the salesman what you are using it for. He needs to know what your computing needs are before he directs you to a newer model. Don’t forget to mention the video card.